I would like to wish a hearty congratulations to both Henri and Vita for passing their latest gradings! Both have been training hard in the dojo and at home at it shows with their marvelous progress. There will be no training on Good Friday, 14th April, due to school closure. Also, due to a school production, there will be no training on Friday 16th June. Hopefully, these will be the only closed sessions throughout the spring & summer! Easter Return & New Class! I hope everyone had a lovely Easter. We’re back to normal this week. Wednesday training in Horsham. Friday is now a DOUBLE session again! 6:15pm-7:15pm beginners, 7:15pm to 8:15pm intermediates. At the Redwood Centre in Haywards Heath, we will be starting a new Tuesday evening class, 7pm to 8pm. Barring any last minute issues, this is going ahead! As you should all know, you can find the most up-to-date BWK date section here. These courses may have space on the day, but it’s wise to put your name down ahead of time. 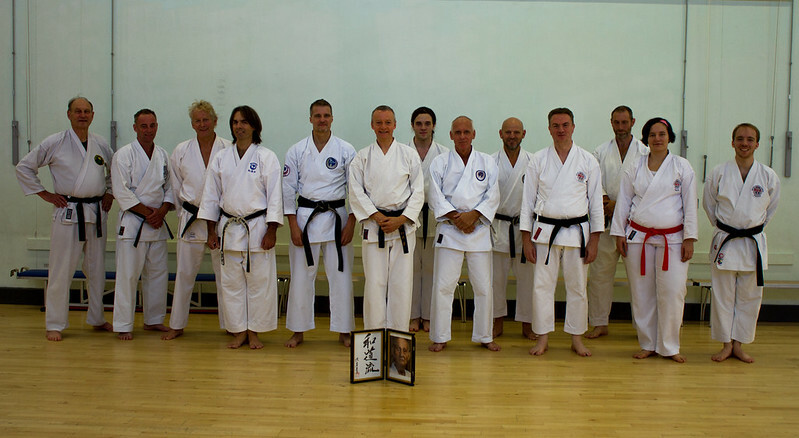 You can do this by e-mailing Sensei Gary on garyswiftkyoshi@gmail.com. Open to all grades, but minimum age of 12. Open to all grades and ages! A great opportunity to get some experience in before the BWF tournament in October 2016.